When I posted about our NTNP (Not Trying, Not Preventing) break a couple of weeks ago, I mentioned that my husband and I had set some personal goals for ourselves as individuals and as a couple. Well, yesterday, I started work on one of my personal goals: to put myself out there for the world to see as a writer; an author. 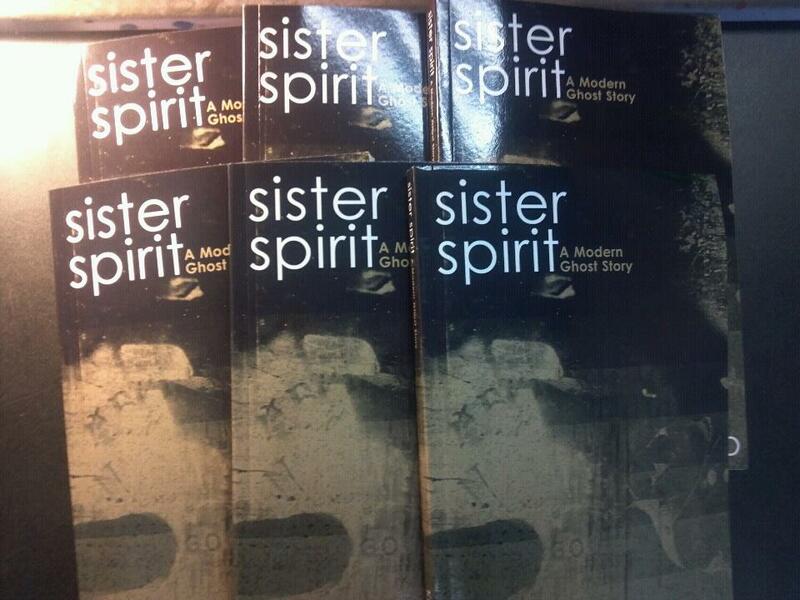 And it seems the universe is in agreement with my goal because it wasn’t very far into this new year when my friend who works for the local library system informed me of the ‘Local Writers Section.’ She offered to put a couple copies of my book, Sister Spirit: A Modern Ghost Story, into this section. I was thrilled at the prospect of being included in the card catalog of any library ever, but aghast at the thought of my not-fully-edited book being seen by strangers. So far the only folks who have read the book are friends and relatives. Thankfully one of my friends, Maryfrances, hooked me up with her cousin who edits professionally. And through that connection, I was able to get an affordable deal on some professional editing services! Sometimes the universe does not give you what you desperately want and spend over a year trying to achieve. And sometimes it throws something that you always kind of wanted but never thought you would be able to achieve right in your lap and then slaps you in the face with opportunity. This is definitely the latter. Writing for me is a hobby that I enjoy. And ever since finding NaNoWriMo four years ago, it’s something I’ve definitely set out to accomplish. But to pursue in a semi-professional capacity? It never really occurred to be that it was an option, or that I could force it into reality. You know what makes you feel utter helpless? Infertility. You start to think that being unable to accomplish what is the simplest thing in the world for some folks, that you are not capable of accomplishing anything. That life just happens to you. You are merely a dead fish floating downstream. I was definitely in the doldrums of my own sea of doubt. What’s up with all these nautical and watery metaphors? Anyway, thanks to my husband’s support, the thoughtfulness of great friends (thank you Kirsten!) and sheer luck, I am stepping out to make my dreams come true. Not the dreams I’ve been focusing on, but the dreams that languished behind my desire to be a mother. Have no doubt, I’m still Hungry for Motherhood. But in the meantime, I can continue to work on myself and become someone a child would be proud to call mother.